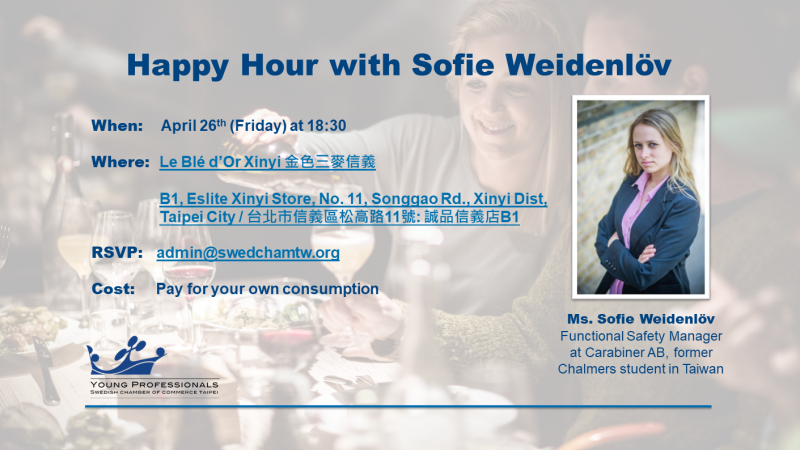 Are you a Young Professional interested in knowing more about what former Swedish students to Taiwan are up to after graduating? Or do you just want to hang out? Then you should join us on April 26th. Send Henrik Holm an email at admin@swedchamtw.org and we’ll see you there!